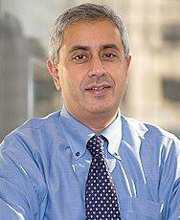 Prakash Loungani is an Advisor in the IMF’s Independent Evaluation Office. He is also an adjunct professor at Vanderbilt University's Owen School of Management. He has written papers on China’s role during the 1997-98 Asian crisis; on China’s impact on the trading fortunes of other Asian nations; and on the impact of China's minimum wage on employment.